This is the result of years of an intense, passionate relationship with an idea. Yet to be published, we hope to see it born before the summer (of 2016). I’am not absolutely sure when I began conceiving this work of ideas, but it was around 2010. 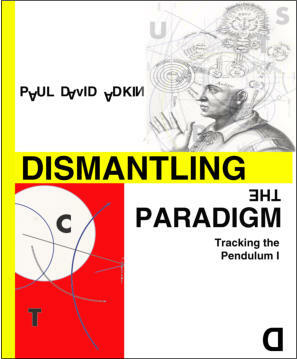 It is to be the first part of a larger opus called Tracking the Pendulum. This first part is a ruthless critique of our deeply nihilistic world and its anti-human historical process. A starting point for a radical positivism aimed to lift us out of the dangerous paradigm we are immersed in. My dismantling the anti-human paradigm we uncover the authentically human picture that lies beneath. If you are a fan of my Blog, then this work is a must as it slots the pieces of the jigsaw of my blog entries together into a cohesive system.